Microsoft has announced that Windows 10 users will now be able to log into their Microsoft accounts using its Edge browser without a password. The company is giving users three different ways to securely log into their Microsoft accounts. 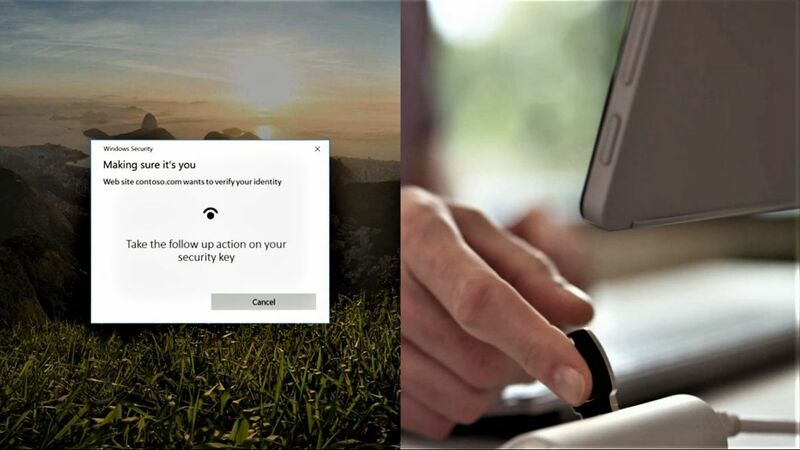 Users can log into their accounts with Microsoft’s biometrics-based authentication platform Windows Hello, with a FIDO2-compatible device from Yubico, Feitian or other manufacturers or with a phone running the Microsoft Authenticator app. Password-less login is now available for Outlook, Office 365, Skype, OneDrive, Cortana, Microsoft Edge, Xbox Live, Mixer, Bing and the Microsoft store. Simons highlighted the fact that besides being one of the first browsers to implement WebAuthn and CTAP2, Microsoft Edge also supports the “widest array of authenticators” when compared to other browsers. He also revealed that starting next year, password-less login is coming to educational and business accounts in Azure Active Directory with enterprise customers getting a chance to test out the feature before the end of 2018.